A young Native American boy sets out to hunt on Manhattan Island and discovers some strange people with white faces and very different ideas about land. 1994 64 p.
1879. After a surprise attack leaves many of her people dead, fifteen-year-old Walks Alone, an Apache girl wounded in the massacre, struggles to survive and rejoin the refugee band. 2000 124 p.
10-year-old Fred, (short for Frederika). narrates the story of school and village among the Athabascans in Alaska during 1948 when Miss Agnes arrived as a new teacher. 2002 113 p.
Forced to leave their homes in Georgia in 1837, Sarah Tsaluh Rogers, her family, and other Cherokees make the long and difficult journey along the Trail of Tears to the Indian Territory in Oklahoma. 1992 53 p.
Kidnapped from her Shoshone family as a teenager, Sacajawea was forced to live with the Hidatsa tribe until she was married off to a fur trader named Charbonneau. 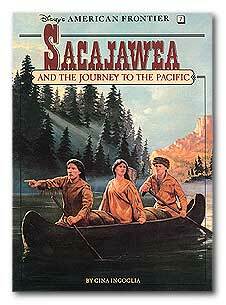 Soon after, she met Lewis and Clark, who were about to embark on an expedition to the Pacific. 1992 75 p.
In 1840, Night Bird, whose clan of Seminole Indians is fighting to preserve its traditional way of life in Florida, must decide whether to seek land and an unknown future in distant Oklahoma. 1993 51 p.
Sequel to: The birchbark house. 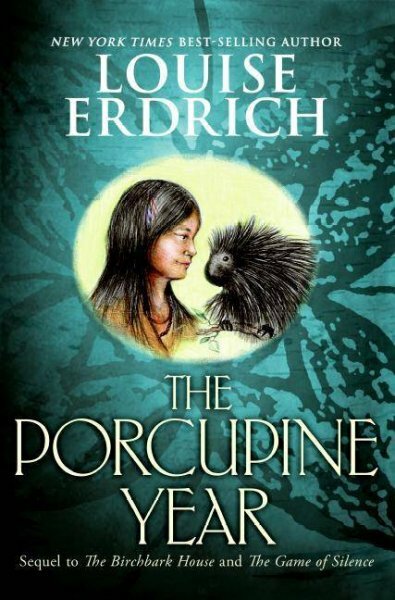 For sequel see: The porcupine year. 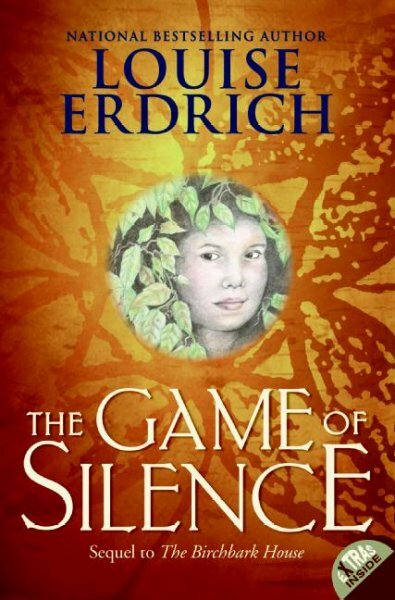 Sequel to: The Game of Silence. 1590. Teenage Ipa struggles to survive a brutal time of change as the Spanish begin the conquest of the native people along the Texas border. 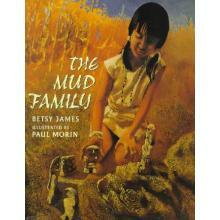 1995 292 p.
When the government removes their tribe from their sacred homeland in 1831, 10-year-old Minko and his father endure terrible hardships on their journey from Mississippi to Oklahoma, where Minko receives the name Longwalker. 1999 133 p.
Twelve-year-old Minuk's traditional Eskimo way of life is changed forever in 1892 with the arrival of Christian missionaries. 2002 185 p.
Captured by a roving band of Sioux Indians and brought up as the Chief's daughter, Rachel is recaptured by her white family and finds it difficult to adjust, as she longs to return to the tribe. 1988 157 p.
Living on the western Canadian prairie in the 19th century, Sweetgrass, a 15-year-old Blackfoot Indian girl, saves her family from a smallpox epidemic and proves her maturity to her father. 1984 157 p.
In 1908, 13-year-old Dixie's new life on the Oklahoma frontier is complicated by a war of nerves between her and John Three, a young Kiowa Indian who insists that his pony was sold to her without his permission. 1994 169 p.
At the beginning of the Revolutionary War, hoping to keep away from their valley, a twelve-year-old Delaware Indian boy and his white friend search sacred land for the bones of a legendary beast. 1995 218 p.
When her family is massacred by Lenape Indians in 1643, 9-year-old Susanna, daughter of Anne Hutchinson, is captured and raised as a Lenape. Based on a true story. Happens in what is now the Bronx, New York. 1998 224 p.
A fictional retelling of the experiences of twelve-year-old Mary Jemison, who after being captured by a Shawnee war party during the French and Indian War, is rescued and subsequently adopted by two Seneca sisters. (Newbery Honor 1942) 1994 298 p.
16-year-old Rebekah joins her missionary father in the New World in the 1630's and, after being introduced to Indian culture, begins to question whether these "savages" need saving after all. 1992 261 p.
Lansa visits his father, who is the tribal police chief on the Hopi reservation in northern Arizona, and learns about some sacred Hopi traditions while he helps investigate several murders. 1995 203 p.
When her father's death leaves her orphaned and an outcast among her Apssalooka "Crow" people, a 15-year-old sets out to avenge his death and prove that she, not her dead twin brother, is destined to be the Great One. Takes place in what is now Montana, Wyoming and Nebraska. 1998 194 p.
Maggie Callahan journeys across the rugged Pennsylvania frontier to find her kin but, just before she reaches her destination, she is taken captive by a band of Seneca warriors and forced to travel with them along the war trail. 1987 99 p.
Arizona. Canyon de Chelly, 1864. A young Navajo girl recounts the events of 1864 when her tribe was forced to march to Fort Sumner as prisoners of the white soldiers. 1970 137 p.
In 1877, a young Nez Perce girl relates how her people were driven off their land by the U.S. Army and forced to retreat north until their eventual surrender, June-October. Montana/Idaho. 1992 126 p.
In 1798, Rebecca, a young settler in the Ohio territory, meets the Shawnee called Tecumseh and later develops a deep friendship with him. 1997 265 p.
In 1765, the arrival of an injured stranger from another tribe, traveling alone and apparently unable to speak, arouses suspicion in Kaya's Nez Percâe village. Includes glossary and historical notes on the Nez Percâe Indians. 2005 132 p.
A young Comanche boy experiences his tribe's conflicts with the Tejanos in 1840's Texas. 2000 252 p.
The 1653-1654 diary of a 14-year-old Pocasset Indian girl, destined to become a leader of her tribe, describes how her life changes with the seasons, after a ritual fast she undertakes, and with her treibe's interaction with the English "Coat-men" of the nearby Plymouth Colony. 2003 147 p.
Meli and her brother Tahlikwa escape from the Cherokee people being herded westward on the Trail of Tears, determined to return to their beloved mountain home (now environs Cherokee, North Carolina.) 1838-9. 1994 97 p.
After being taken prisoner by an enemy tribe, a Shoshoni girl escapes and makes a thousand-mile journey through the wilderness in search of her own people. 1991 175 p.
Separated from her family, Sarah Nita suffers cold, hunger, and fear on the Long Walk, when soldiers force the Navajo to walk hundreds of miles to imprisonment at Fort Sumner. 1999 169 p.
Lost in the Ohio River Valley in May 1793, 12-year-old Clare and her two brothers struggle to survive in the wilderness and to avoid capture by the Shawnee Indians. 1997 181 p.